TABASCO brand Sriracha Sauce --- 6 Tbsp. Pizza crusts, 12-in. diameter --- 4 ea. Melt butter; mix in TABASCO Sriracha Sauce and lemon juice; set aside. 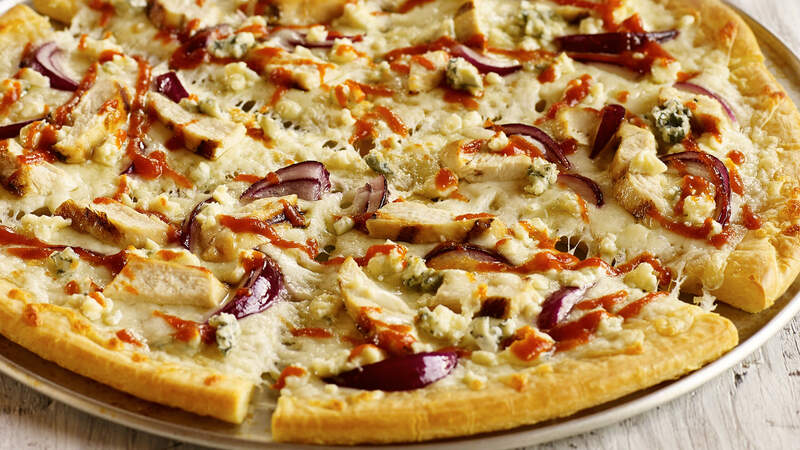 Atop each crust, layer mozzarella cheese, red onion, grilled chicken and crumbled blue cheese. Bake pizzas in oven 14–16 min. When pizzas are done, drizzle Sriracha lemon butter on top. Serve hot.